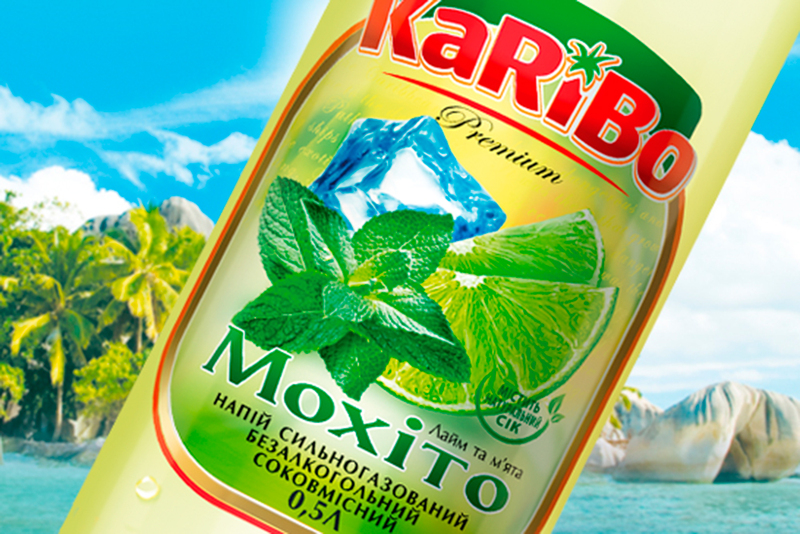 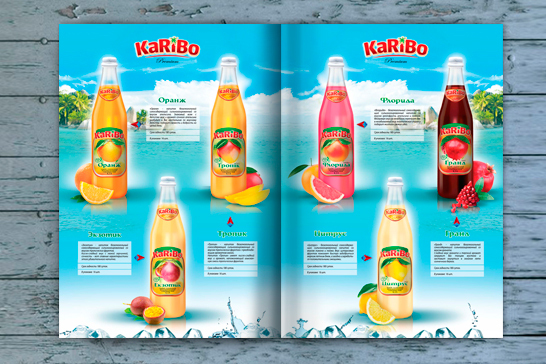 The KaRiBo series was conceived as an original carbonated beverage with a taste of exotic fruits. 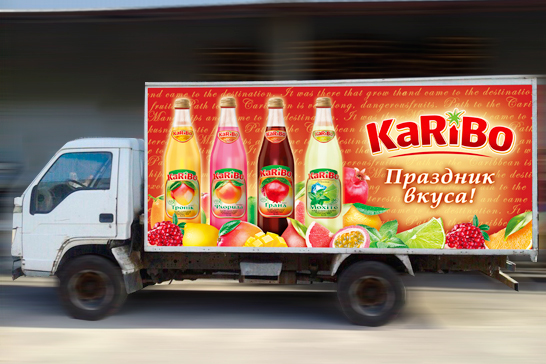 The idea of ​​a visual image was the delivery of various fruits from distant countries (islands of the Caribbean Sea) by long-distance ships. 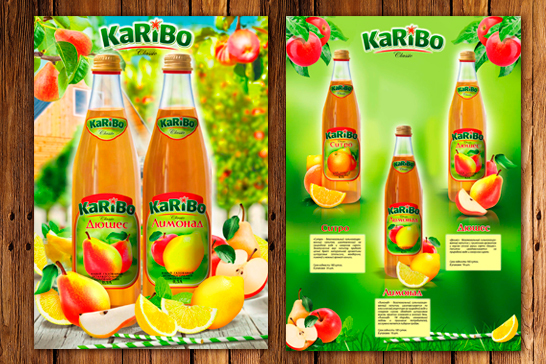 All printing products: labels, presenters and posters – carries a feeling of exclusive delivery of fruit, ripe under the hot sun and enveloped in warm sea air, the purity of processing. 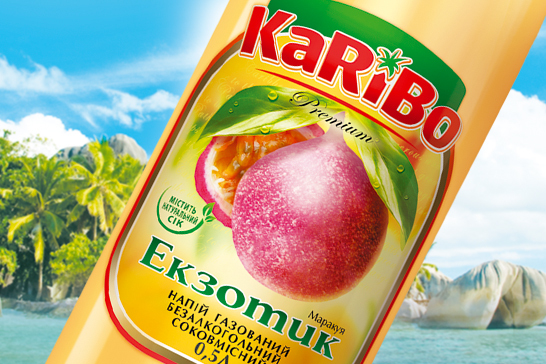 In beverages, the compulsory content of juice in the composition, therefore, in the advertisement the product is accompanied by fruit. 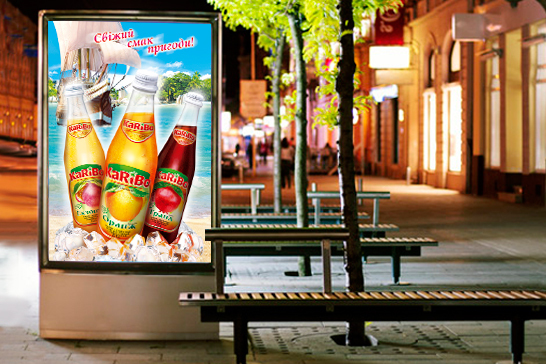 Classic series are drinks with already familiar tastes from childhood: lemonade, sitro, duchesse.